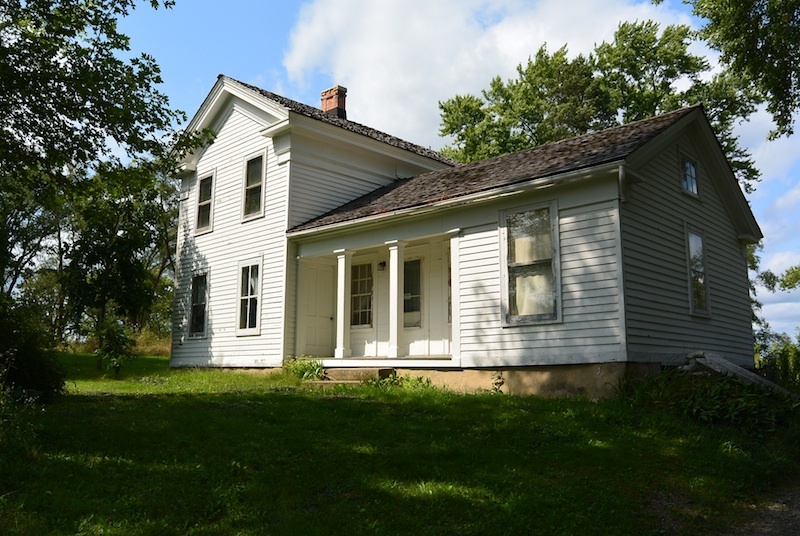 Thank you for inquiring about the process of plaquing an historic site or structure located in McHenry County. It is our hope that the required documentation (click above for pdf or use the webform below to submit online) will provide a lasting record of the property, site and structure. For brochure addressing frequently asked questions click HERE. Please complete as many items as possible. Not all questions will be applicable to your particular property. If you are uncertain of the meaning of any of the questions, please refer to the article below, "How to Confirm the Age of Your Home" and the reference book list. Contact the museum for any further guidance. Please return the completed application, along with a current photograph and old photograph if available of the site or structure and copies of documentation to Historic Sites Committee, McHenry County Historical Society. P.O. Box 434, Union, IL 60180. If approved, the total cost of the plaque, approximately $120, is the responsibility of the property owner. 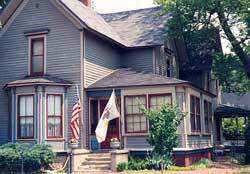 The application and photographs and copies of documentation will become the property of the McHenry County Historical Society. Upon receipt of the application, the committee will arrange a time to conduct a field investigation of the site. 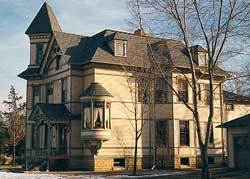 If you wish, you may make a presentation to the committee regarding the historic and/or architectural significance of the property. 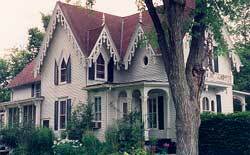 Plaquing an historic site or structure is an excellent means of calling attention to the heritage of McHenry County. It is not a legal proceeding, and thus does not interfere with the buying and selling of the property. 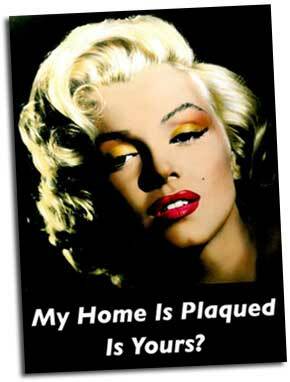 However, once plaqued, the plaque will remain with and on the structure or site...not with the owner of the property at the time of plaquing. 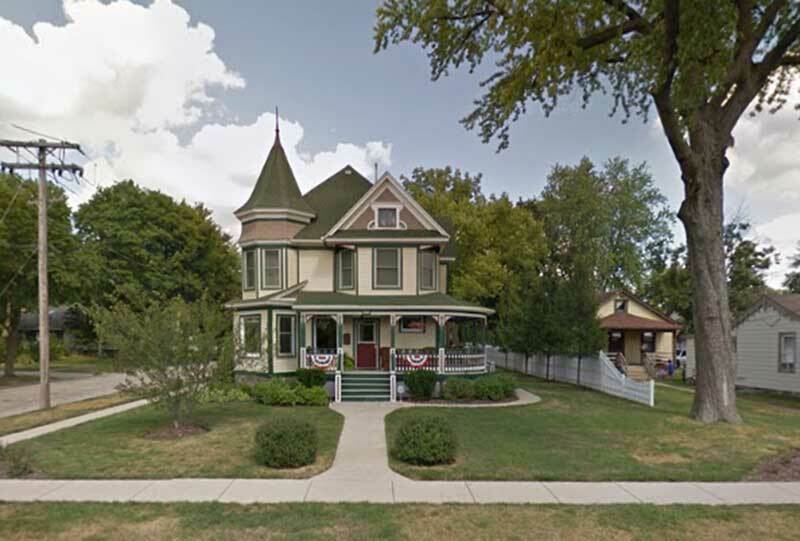 • Plaquing by the McHenry County Historical Society does not make the site eligible for reductions in property taxes. 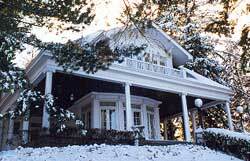 However, hIstoric preservation tax incentives are offered through the state and federal goverment. However, if the alterations detract from the architectural or historic integrity of the structure or site, and upon review, the Historic Sites Committee determines that the structure or site no longer meets the Minimum Standard for plaquing, you will forfeit your privilege of displaying the plaque on the structure or site. 1. Architectural significance: The building must be representative of a particular architectural style, construction technique and/or design. 2. Maintenance of a building or outbuildings: The overall or general condition of a building or site. Is the building kept painted, tuck pointed, and in good repair? (Building maintenance, however, should not detract from the structure's original appearance and character). 3. Historical significance of a building or site: The historic association of a building or site to local, state, and/or national history, county development and settlement patterns as well as associations with county residents. 4. Conservation of architectural elements: The preservation of original, distinctive details and characteristics which define the aesthetic and architectural integrity of a building. 5. Age of a building or site: The date the structure was built, and the date of any subsequent additions or remodeling. A site must be at least 50 years old to be considered for plaquing. This is the minimum age requirement used by the National Register of Historic Places. At the time of purchase, ask the sellers for any information they may have about the house: Property abstracts, Old deeds, Names of previous owners and Pictures.Old letters or papers with information pertaining to the house or any of its owners. Talk to neighbors and senior citizens in the area. Get a legal description of the property. It will be contained in the title information. This "legal" will be used in many avenues of research. The title company that issued the title insurance has probably run a title search on the property. A "chain of title" is necessary for house history research. It may be costly. Some local title insurance companies allow manual research in their title books free of charge. The Recorder of Deeds office at the county courthouse has records that are open to the public. Clerks there will advise on how to use the Grantor-Grantee indices. Know the Property Identification Number and have the legal description when you go there. The Grantor books indicate the seller, and the Grantee books indicate the buyer of the property. Date of sale, quit claim deeds (QC), warranty deeds (WC), "book and page" information, and brief legal description and other legal documents may be contained on microfiche in this office. The County Treasurer's office at the courthouse has all real estate and personal property tax records on microfilm or fiche by date, township and section number. Look for a large increase in the tax amount, indicating a rise in value (a structure added), in the "tax due" column. The Township Assessor's office may have old records (from the late 1800's) that contain construction dates, crude floor plans, builder's names, building materials, etc. These excellent sources of information may, however, be in storage, as the offices are mostly computerized, Ask questions, and give clerks time (weeks) to find the files. 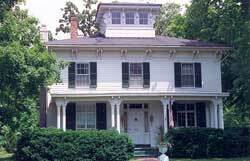 Biographical information on early homeowners and business owners is available in the Research Library at the Historical Society. Pictures, early postcards, abstracts and business records may be found at the Historical Society or at McHenry Public Library's Genealogical Room. Their library contains catalogues of various companies that put out house plans like Sears, Wards, Budget. The library also contains information on Chicago architects. Illinois State Historic Preservation Agency, Division of Preservation Services, Old State Capitol, Springfield, IL 62701, 217/785-4512. Help with National Registers, grants, architects, local government services. By Appointment only, Monday-Friday, 9:00 a.m. until 4:30 p.m. There is a user fee, but it is free to members. For the Illinois Regional Archives Depository. Microfilmed records from the county are deposited here. Call and ask what local information is available. These are important sources of building information, often including detailed descriptions of styling and layout by builders and contractors. Call local libraries in regards to house history research materials available. Yellow Pages list builders, contractors and businesses from at least 50 years ago to present. Please share any additional sources with us so we may direct others. Were there any known local crafts persons involved in the construction? Include dates property was purchased and sold. What is the present siding material? : Other materials? Are there any dormers? : If Yes, How Many? What dormer style? 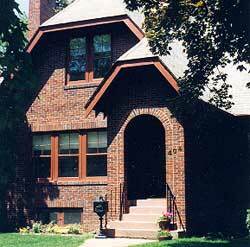 Other dormer style? How many chimneys are visible on the exterior of the structure? Can the original foundation be seen from the exterior? Foundation material: Other foundation material? Are there any intact original cellar doors? Are they used now? Are any of the original doors screened doors? How many original doors have been replaced? Is there a style or type of original door that is typical in the structure? Have the original doors ever been painted? Are they now? How many original windows have been replaced? Is there a style or type of original window that is typical to the structure? Check all that apply: Other details? The structure was originally heated by Heated by other means? If yes, when? Central air, or individual units? Has air conditioning been added If yes, when? Central air, or individual units? Yes or No, Gas, Electricity, or both? Is there still evidence of gas lighting? Is there still evidence of an antiquated electrical system? Did the structure originally have indoor plumbing? If no when was it added? Did the structure originally have indoor plumbing? If no when was it added? Are there any original plumbing fixtures remaining? Is there evidence of outdated plumbing, heating and electrical systems in the basement? (examples: cisterns, coal chutes, stove pipes, etc.) Yes or no, please describe. Are there any pressed tin ceilings in the structure? Is the interior woodwork original? Has any of the interior woodwork been painted? Was it a painted finish originally? Is there any faux graining? Has the woodwork ever been stripped and refinished? When? Is there a particular style or pattern embossed or carved into the woodwork? Have any mantels been replaced? Yes or No? In which rooms? If original flooring has been replaced, what type of material was used? How many outbuildings stand on the property at this time? : Any other...? The Historic Sites Committee is interested in knowing your reasons for seeking a plaque. Is there any folklore associated with this structure that cannot be substantiated? 2MB limit- please use pdf or zipped file.